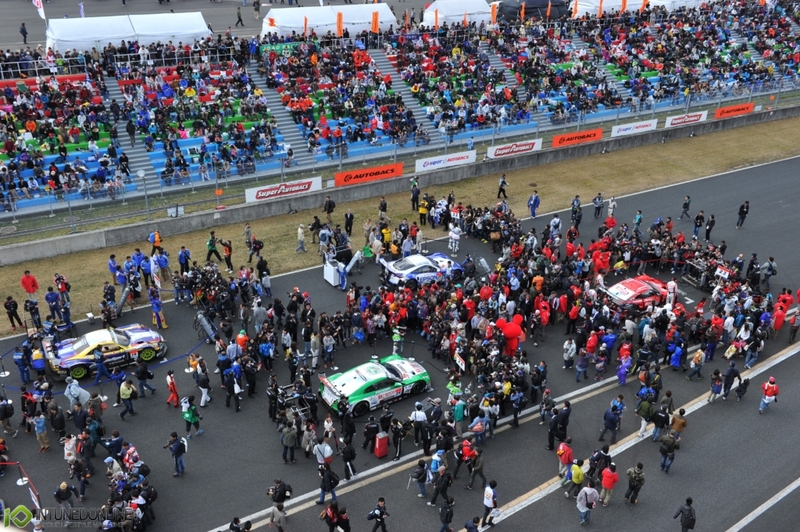 On the afternoon of April 7, the OKAYAMA GT 300km RACE, Round 1 of the 2013 AUTOBACS SUPER GT, took place at the Okayama International Circuit in Okayama Pref. 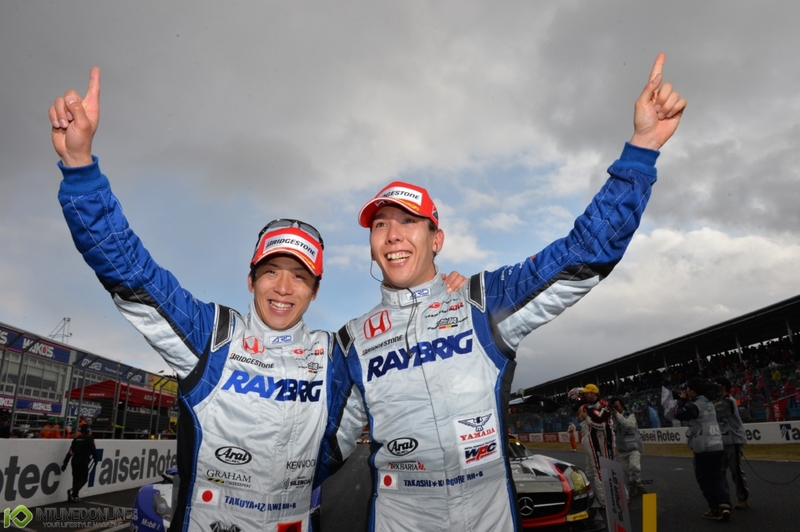 The winner in the GT500 class was the No.100 RAYBRIG HSV-010 driven by (Takuya Izawa/Takashi Kogure). 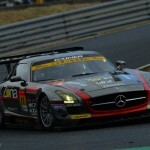 The winner of the GT300 class was the No.11 GAINER DIXCEL SLS driven by Katsuyuki Hiranaka and Bjorn Wirdheim. 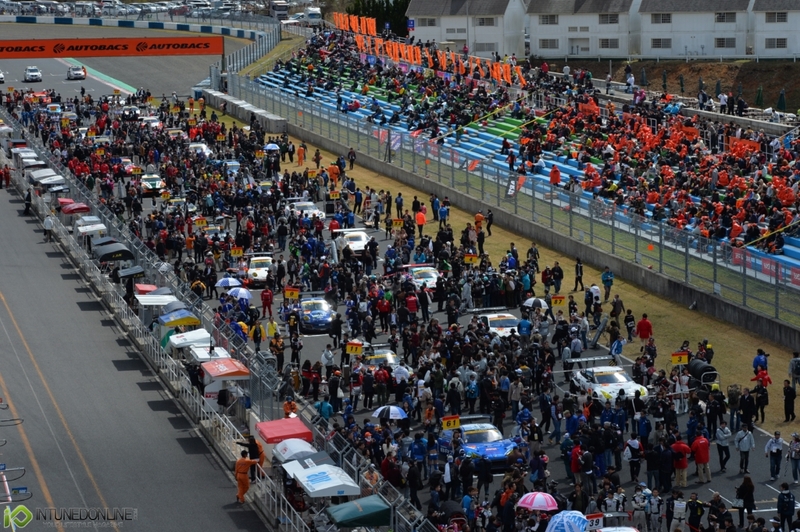 Under a thin cloud cover, but with a chance of rain looming, the track was dry with the air temperature at 11 degrees C. and the track surface temperature at 21 degrees as the starting time for the race approached at 2:00 PM at Okayama Circuit for Sunday’s race. Finally, the formation lap of the season’s opening race rolled into action. But, immediately there was an unexpected mishap as No. 32 Epson HSV-010 (Ryo Michigami), starting from 2nd position on the grid ran off the track at the first turn. Michigami was able to recover his position quickly, but the pace car made another lap as a result, reducing the race distance to 81 laps when it finally started at 2:07 PM. Just after the start, the No. 17 KEIHIN HSV-010 (Toshihiro Kaneishi) and the No. 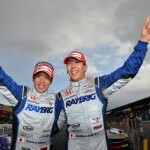 100 RAYBRIG HSV-010 (Takuya Izawa) caught and passed the No. 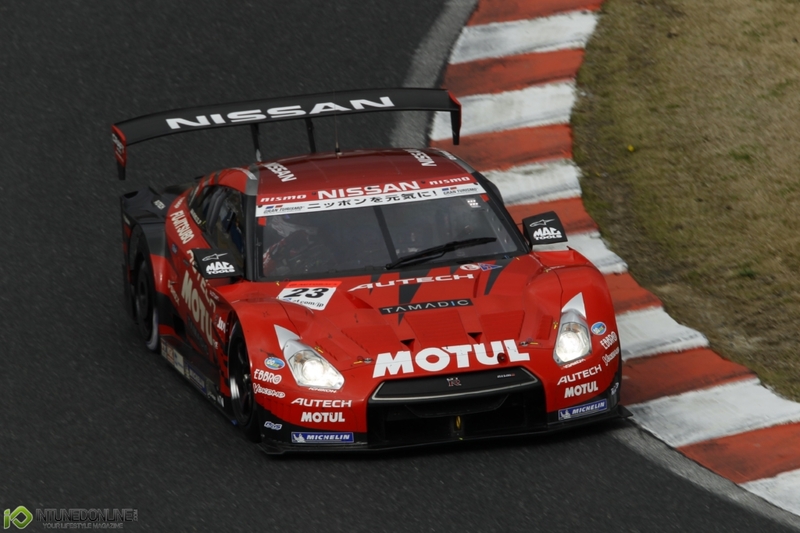 24 D'station ADVAN GT-R (Michael Krumm) to move up into 3rd and 4th positions respectively behind the No. 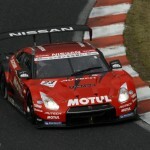 23 MOTUL AUTECH GT-R (Ronnie Quintarelli) and the No. 32 Epson HSV-010. Just as No. 24 had dropped to 5th position, the No. 19 WedsSport ADVAN SC430 (Andre Couto), which had also had difficulty in warming up the tires, dropped all the way back to 10th position by the end of the first lap. Behind the No. 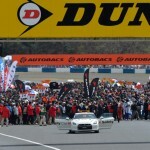 23 MOTUL AUTECH GT-R leading the race, the No. 32 Epson HSV-010 was also having trouble keeping a fast pace in the early going, and on the fifth lap it was passed by the No. 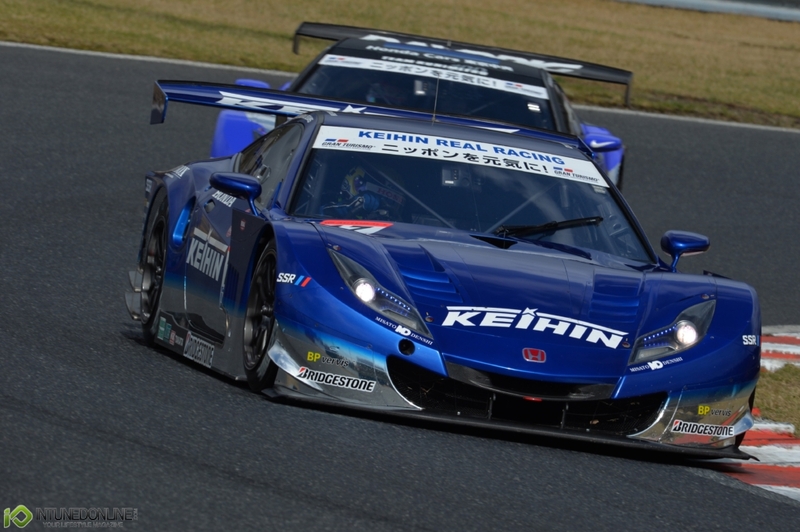 17 KEIHIN HSV-010, the No. 100 RAYBRIG HSV-010 and then the No. 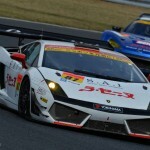 18 Weider Modolo HSV-010 (Naoki Yamamoto) to be left in their wake. At this point in the race the leading order was No. 23 followed by No. 17, No. 100, No. 18 and No. 12, and on the seventh lap three Lexus machines, the No. 37 KeePer TOM'S SC430 (Andrea Caldarelli), the No. 36 PETRONAS TOM'S SC430 (James Rossiter) and the No. 38 ZENT CERUMO SC430 (Kohei Hirate) passed the No. 32 Epson HSV-010 to move into 6th, 7th and 8th places. But, in the charge of these Lexus machine the No. 36 PETRONAS TOM'S SC430 received damage to one of its wheels in a brush up with No. 38 ZENT CERUMO SC430 on the sixth lap and had to return to the pit on lap eight and forced to lose its hard-earned position. 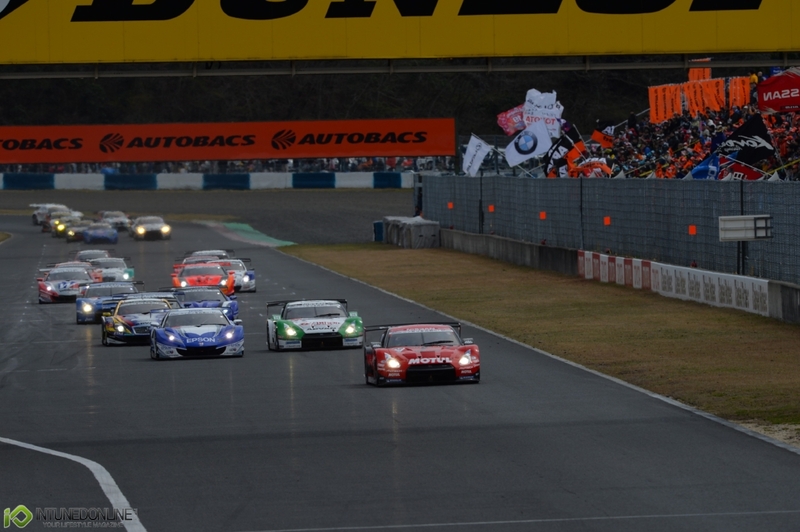 From the ninth lap the leaders began to come up on GT300 class back markers, but the No. 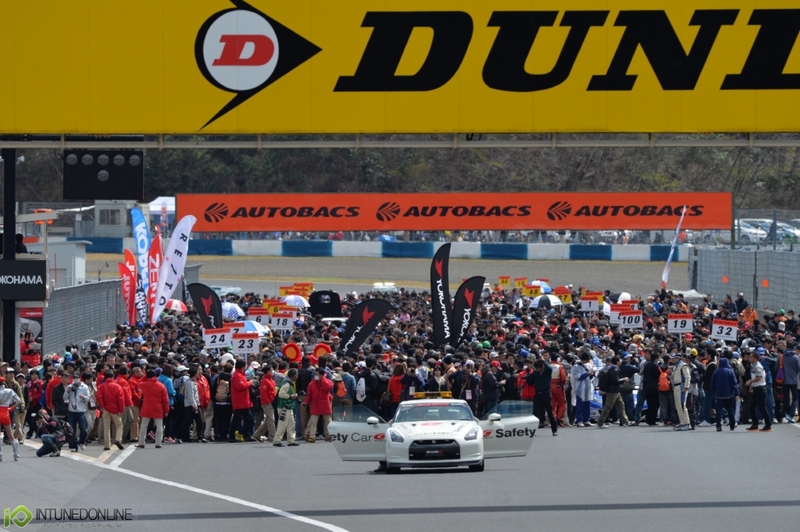 23 MOTUL AUTECH GT-R continued to run strong in the lead. Two or three seconds behind, the No. 17, No. 100 and No. 18 HSV-010 were staging a tight nose-to-tail battle for 2nd place. Also, behind the No. 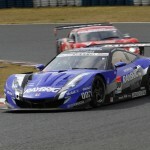 12 CALSONIC IMPUL GT-R (Tsugio Matsuda) in 5th position cars No. 37, No. 38 and the No. 39 DENSO KOBELCO SC430 (Hiroaki Ishiura) were in a fierce battle of their own. In this way the early stages of the race continued to be marked by battles between cars of the same maker. Amid these contests, the No. 18 Weider Modolo HSV-010 passed the No. 100 RAYBRIG HSV-010 on the 15th lap to move into 3rd position, and on the 16th lap the No. 38 ZENT CERUMO SC430 caught and passed the No. 37 KeePer TOM'S SC430 to take 6th position, and for a while these positions would hold. 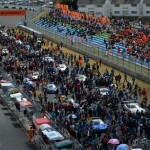 Around the 23rd and 24th laps a light rain began to fall and the No. 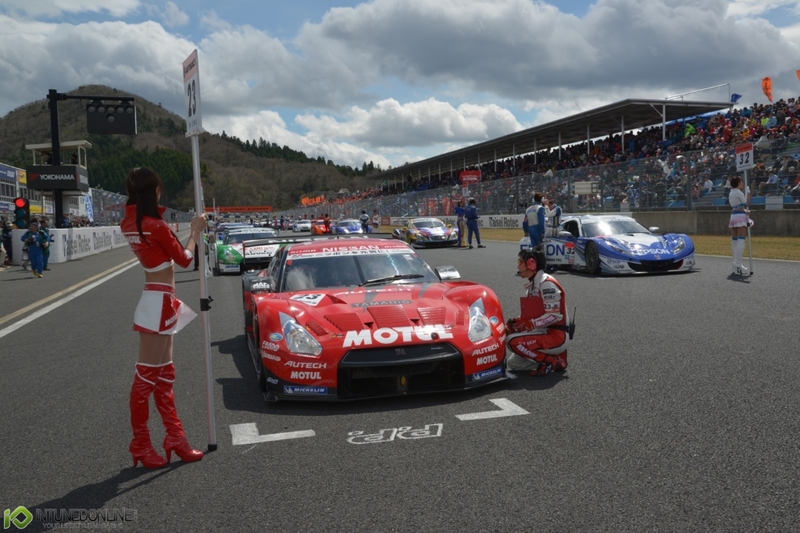 23 MOTUL AUTECH GT-R began to lose some of its margin of lead, but it was still firmly in the lead when the teams began to make their routine pit stops from around lap 35. The leader finally made its pit stop on lap 43, changing drivers from Quintarelli to Masataka Yanagida, and when all the teams had finished their pit stops by lap 48, No. 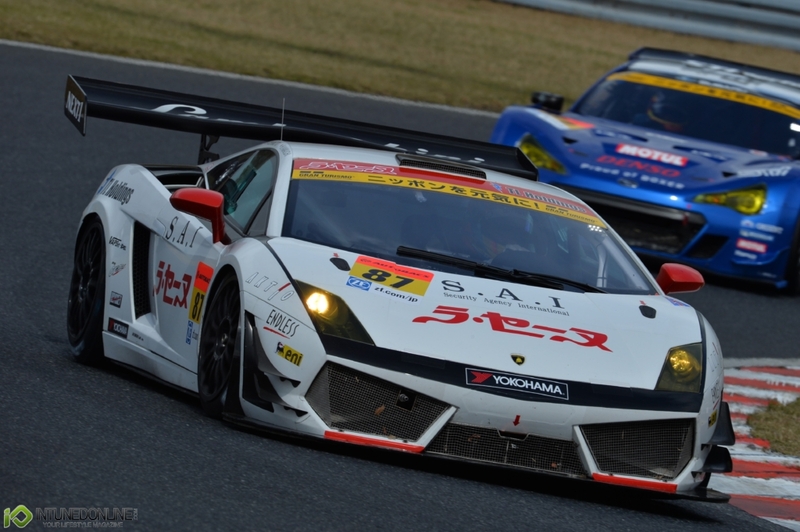 23 was back in the lead with Yanagida at the wheel, followed another car on Michelin tires in 2nd place, the No. 18 Weider Modolo HSV-010 (Frederic Makowiecki). After the 60th lap, however, the No. 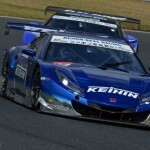 18 Weider Modolo HSV-010 was unable to hold the pace and the No. 100 RAYBRIG HSV-010 (Takashi Kogure) and No. 17 KEIHIN HSV-010 (Koudai Tsukakoshi) were closing in on it. Once again it was a battle for 2nd position between three HSV-010 machines, the contender were down to two when the No.18 Weider Modolo HSV-010 suddenly spun out by itself on Atwood Curve of lap the 68. This put the No. 100 RAYBRIG HSV-010 and No. 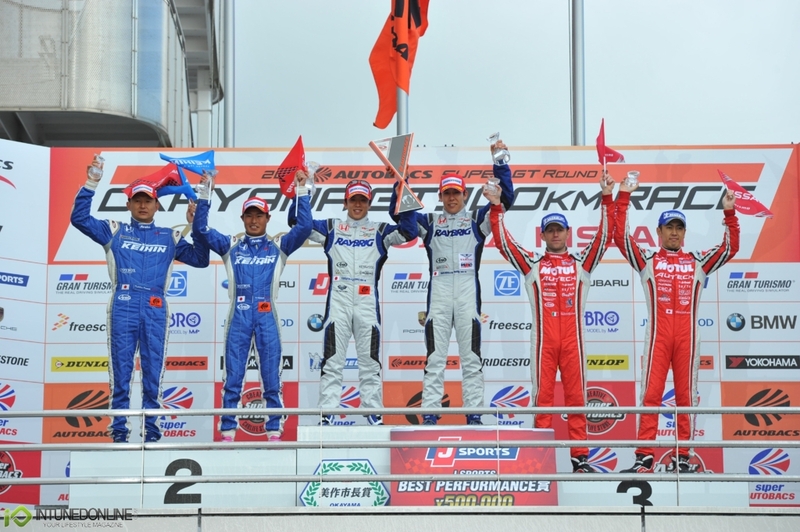 17 KEIHIN HSV-010 in 2nd and 3rd places respectively, while the No. 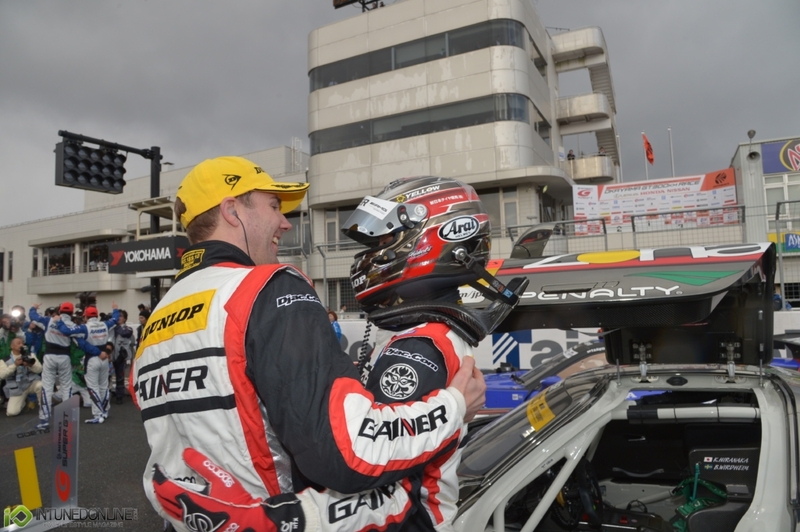 18 Weider Modolo HSV-010 dropped to 4th position. Now in 2nd and 3rd positions, the No. 100 RAYBRIG HSV-010 and No. 17 KEIHIN HSV-010 began to close in on the No. 23 MOTUL AUTECH GT-R as its pace slowed after the 70th lap, perhaps because of the dropping track temperature. A nip-and-tuck battle continued between the three machines until the 77th lap, when the No. 100 RAYBRIG HSV-010 started to draw alongside the No. 23 MOTUL AUTECH GT-R on the infield, and despite Yanagida’s desperate efforts to hold them off, the two HSV-010 machines both managed to pass the GT-R over the course of the double hairpin and the Mike Knight Corner! With this, the No. 100 RAYBRIG HSV-010 had finally taken the lead. Having now dropped to 3rd position, the No. 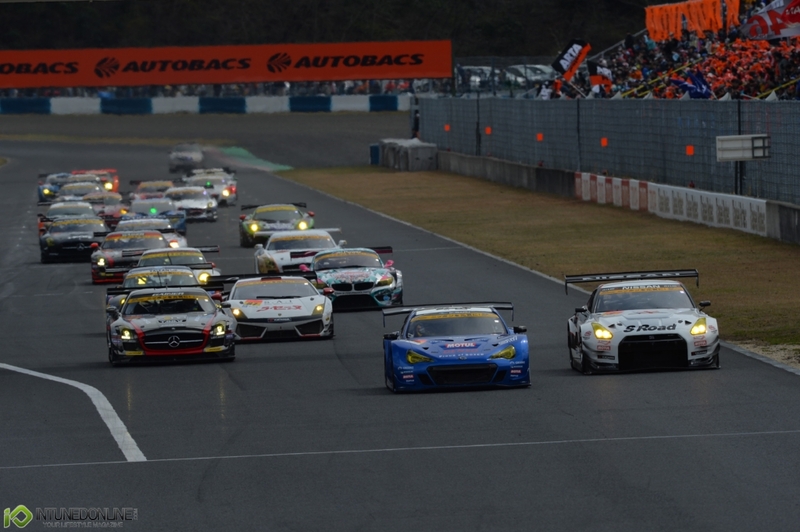 23 MOTUL AUTECH GT-R lacked the speed to win back the lead, leaving the No. 100 RAYBRIG HSV-010 to race on to the win. The No. 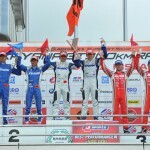 17 KEIHIN HSV-010 finished 2nd, and after leading for most of the race, the No. 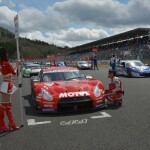 23 MOTUL AUTECH GT-R ended up 3rd. In 4th place came the No. 38 ZENT CERUMO SC4304, having managed to pass the No. 18 Weider Modolo HSV-010 on the last lap. For the No. 100 RAYBRIG HSV-010 that had lost the victory in the final moments of last year’s season opener, there was sweet revenge in this day’s victory by the new driver team of Takuya Izawa and Takashi Kogure. 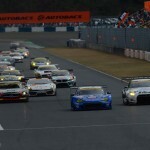 The start of the GT300 class race came off without mishap. Starting form pole position, the No. 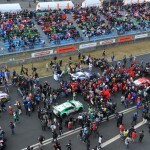 61 SUBARU BRZ R&D SPORT (Tetsuya Yamano) led the race in the early running, but soon the No. 3 S Road NDDP GT-R (Kazuki Hoshino), the No.11 GAINER DIXCEL SLS (Bjorn Wirdheim) and the No. 87 LA SEINE LAMBORGHINI GT3 (Hideki Yamauchi) were closing in from behind. Unable to hold them off, the No. 31 BRZ quickly fell to 4th position. Despite having been strong in the rain of the qualifying on Saturday, the JAF GT spec BRZ was unable to match the speed of the powerful FIA GT3 spec machines on a dry track. The battle for the now came down to the No. 3 GT-R and the No. 11 R8. But, soon the No. 3 began losing speed, and on lap 10 Wirdheim in car No.11 passed Hoshino to take the lead. From there, the No.11 SLS pulled away at a fast pace and succeeded in opening up a lead of about 20 seconds over the No. 87 LAMBORGHINI by the time the teams began to make their routine pit stops from around lap 35. The No. 11 GAINER DIXCEL SLS was the last among the leaders to make its pit stop on lap 47. 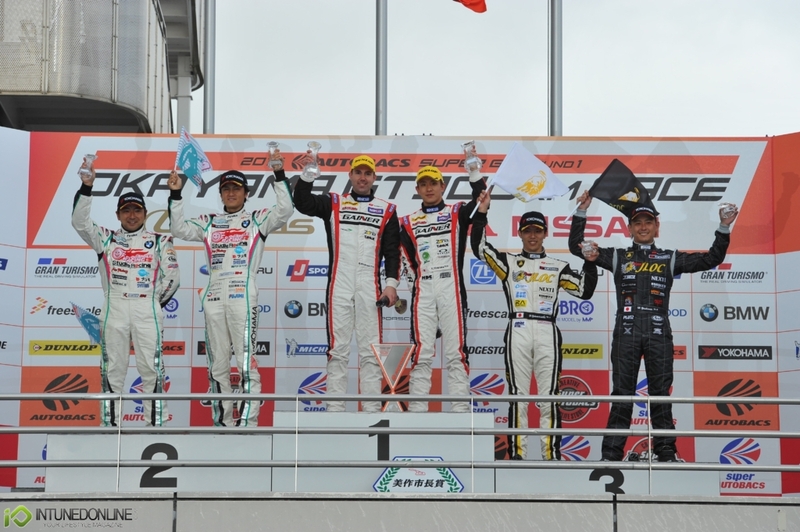 With its considerable margin of lead, Katsuyuki Hiranaka was able to assume the front position in the race with no problem after the driver change. Hiranaka was five seconds ahead of the No. 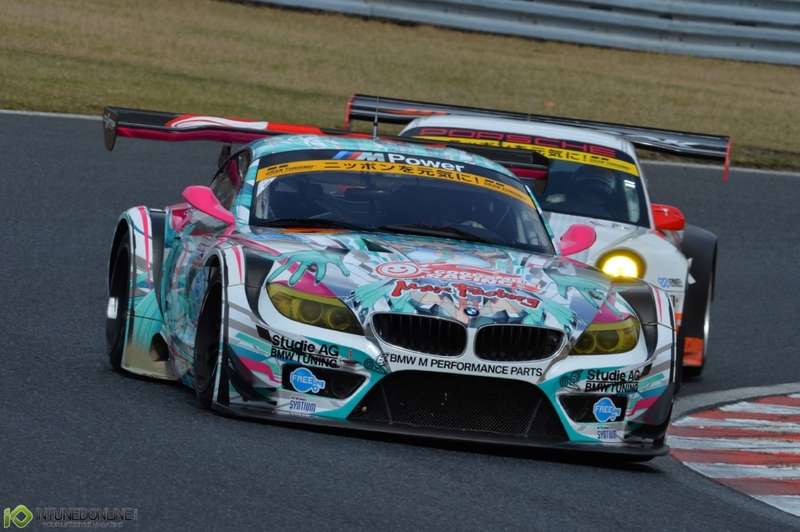 4 GSR HATSUNEMIKU BMW (Tatsuya Kataoka > Nobuteru Taniguchi), which had moved into 2nd position after making an early pit stop. 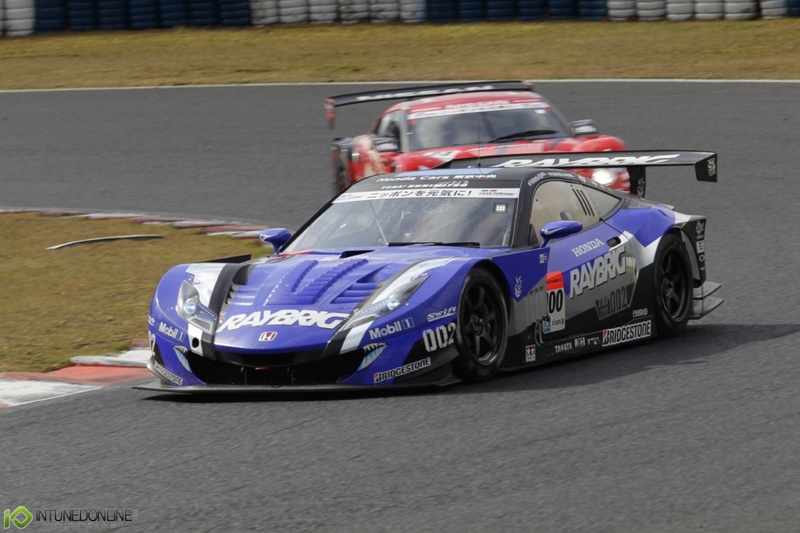 It looked at this point as if Taniguchi in car No. 4 would be able to close the gap on Hiranaka in car No. 11. But, running at a fast pace of 1’30 to 1’31 per lap, Hiranaka began to widen his lead again to first 10 and then 15 seconds. At one point he built up a lead of nearly 22 seconds that gave him a comfortable margin of lead to cruise on to victory unchallenged. 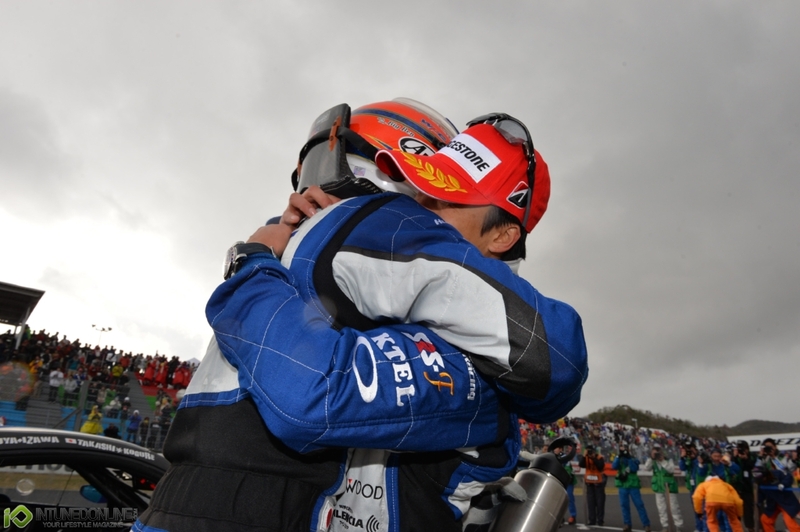 For the winning No.11 GAINER DIXCEL SLS team GAINER, this was the second consecutive win here at Okayama, having won last year using the Audi R8 LMS. 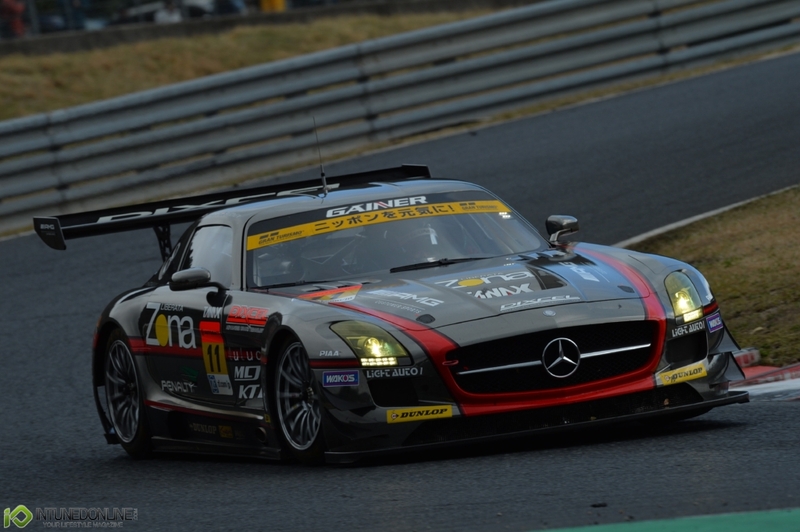 Also, this was the first win for the Mercedes Benz SLS AMG GT3, which began competing in GT300 from last season. Finishing 2nd was the No. 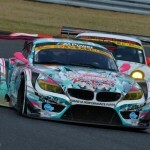 4 GSR HATSUNEMIKU BMW. The race for 3rd place was a nip-and-tuck battle between the No. 87 LA SEINE LAMBORGHINI GT3 (Hiroki Yoshimoto) and the No. 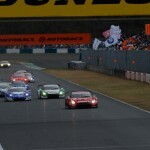 33 HANKOOK PORSCHE (Tomonobu Fujii) that continued until the second lap from the finish. But, in the heat of the brawl, there was a collision that caused the No. 33 PORSCHE to fall back and concede the win to the No. 87 LAMBORGHINI, which went on to claim the third spot on the winners’ podium. 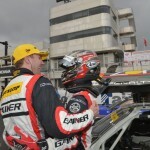 Running at a constant pace throughout the race, the veteran driver pair of the No. 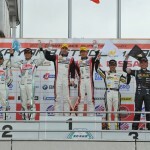 52 OKINAWA-IMP SLS (Hironori Takeuchi > Takeshi Tsuchiya) finished 4th, while the pole-starting No. 61 SUBARU BRZ R&D SPORT (Yamano > Kota Sasaki) finished 5th. The No. 55 ARTA CR-Z GT (Shinichi Takagi > Takashi Kobayashi) that had crashed in the free practice on qualifying day was able to start the race from the beck of the grid after frantic repair work. In the race, despite some trouble, the team managed to finish 12th.